Over 720,000 members of Myanmar's Rohingya community have sought refuge in Bangladesh after widespread ethnic violence erupted in the country's Rakhine province. There is “terror and panic” among Rohingya refugees in southern Bangladesh, who are at imminent risk of being returned to Myanmar against their will, the United Nations top human rights official has said, warning that the returns would seriously endanger the lives of those sent back. 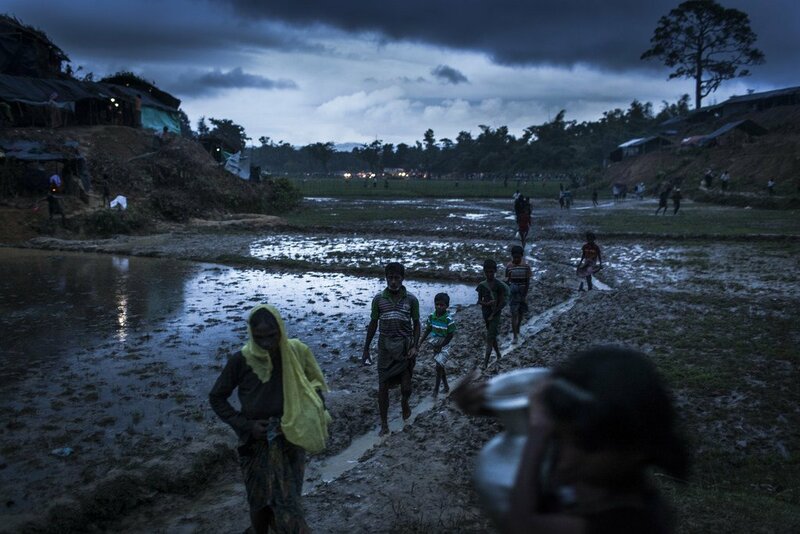 According to the UN human rights office, OHCHR, some of the refugees have threatened suicide if they are forced to return, and two elderly men in Cox’s Bazar have already attempted suicide. There are plans for the repatriation of more than 2,200 Rohingya refugees to Myanmar. However, refugees have stated repeatedly that they do not wish to return under current conditions, OHCHR added. In addition, several families apparently listed for return are headed by women or children, placing them at heightened risk. Ms. Bachelet also stressed that forcibly expelling or returning refugees is a “clear violation of the core legal principle of non-refoulment,” which forbids repatriation where there are threats of persecution or serious risks to the life, physical integrity or liberty. Any returns must take place in line with international standards of voluntariness, safety and dignity, with full transparency, and only when the conditions are right, added Ms. Bachelet. The UN human rights chief also called on the Government of Myanmar to show its seriousness in creating the conditions for return by addressing the root causes of the crisis in Rakhine state. Since late August 2017, widespread and systematic violence against Myanmar’s mainly-Muslim minority Rohingya, has forced hundreds of thousands to flee their homes in Rakhine state and seek refuge across the country’s border, in Bangladesh. Prior to that, well over 200,000 Rohingya refugees were sheltering in Bangladesh due to earlier displacements. According to estimates, there are some 925,000 Rohingya refugees sheltering in Bangladesh, most of them in the district of Cox’s Bazar, once an idyllic coastal town, transformed into the largest refugee settlement in the world, in just a matter of months. Returns of Rohingya refugees, forced to flee their homes due to widespread and systematic violence in northern Myanmar, “should only take place at their freely expressed wish” the United Nations top refugee official has stressed, amid concerns that conditions at places of origin are not yet conducive to safe, dignified and sustainable returns.